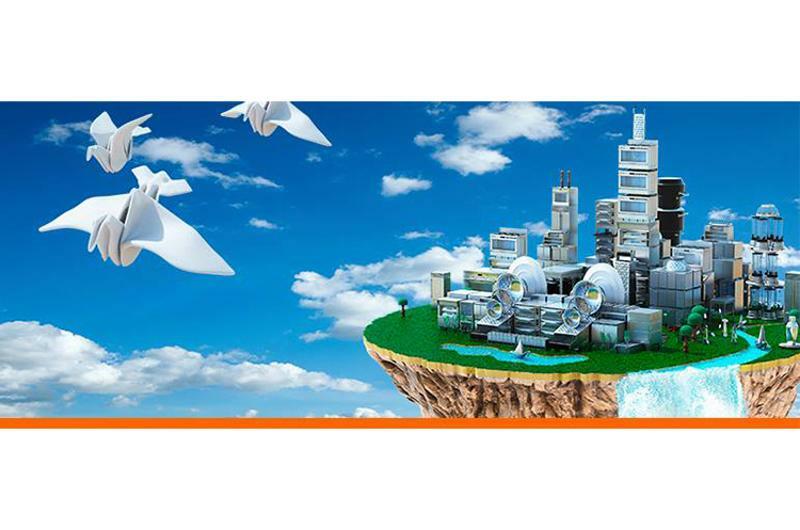 The industry may be slow to adopt space-age technologies such as robots, but there is some product innovation happening on the equipment front. 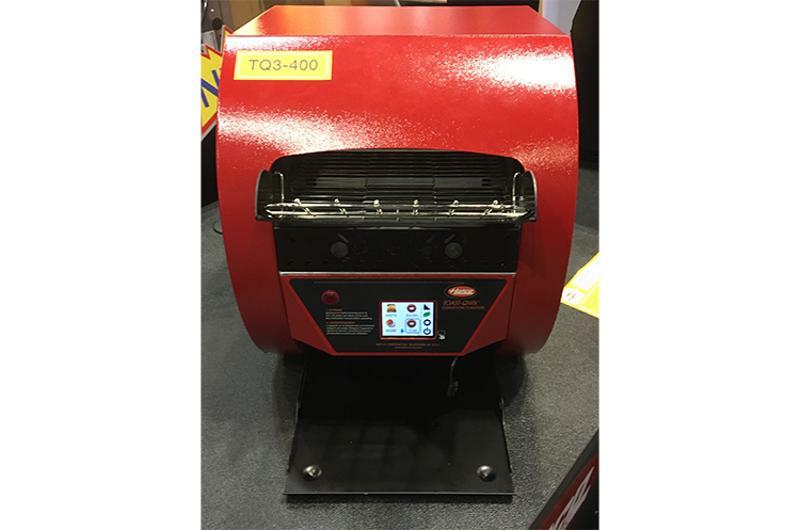 A walk through the tradeshow floor at the NAFEM Conference in Orlando last week revealed some notable trends in equipment—both new trends and pre-existing ones that are starting to gain more traction. Here’s a look at what restaurant operators might see suppliers touting next. Trying to help operators find a way to make water profitable, suppliers are rolling out multitap water dispensers. The purpose: to conveniently offer still and sparkling water, often at different temperatures. While most don’t have flavor shots or syrups built in, they are displaying bottles of syrups and cut-up fruits for infusions next to the machines. 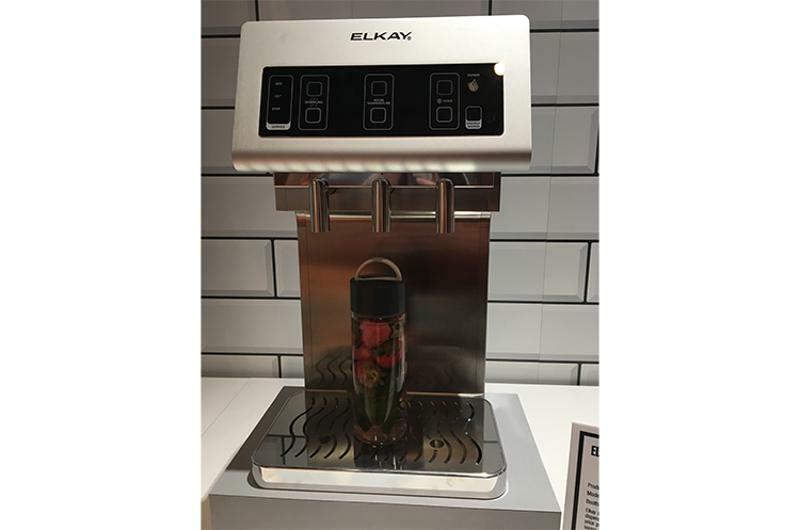 Appealing to the needs to chain restaurants with corporate-developed recipes and LTOs, the next generation of recipe-programmed cookers includes the option to push out recipes from one corporate hub, and then track via app how individual stores are using the machines in practice. 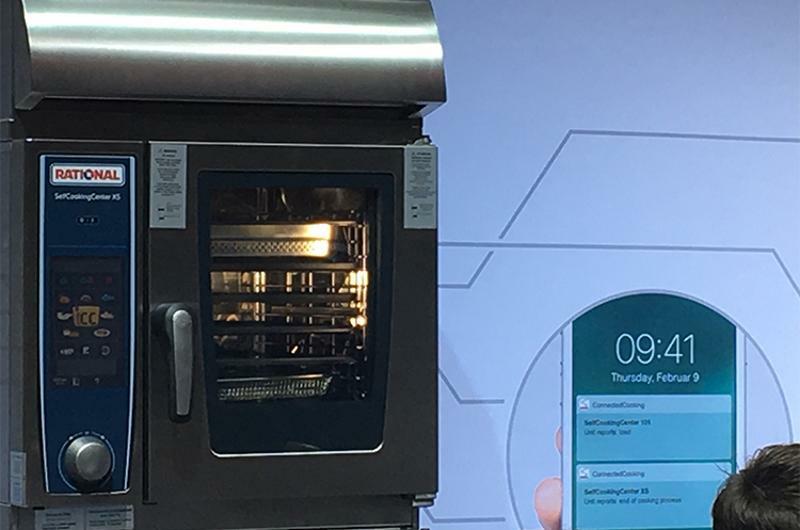 Suppliers are promising that it saves time from needing to train at each unit, since the instructions for new or revamped recipes are preprogrammed into machines. Knowing that operators are shrinking their footprints, suppliers are continuing to develop smaller equipment that does more work. Many new multishelf holding heaters and grab-and-go displays on the market are one unit. Instead of needing multiple pieces, one unit can be programmed—via a touchscreen—to a number of different temperatures at once. With both full- and limited-service operators turning towards open kitchens—or, at least partially open—suppliers are revamping the looks of some of their classic offerings to make them more attractive for front-of-the-house. Manual knobs are replaced by digital displays and touchscreens, and sharp edges are being rounded out for a softer look. 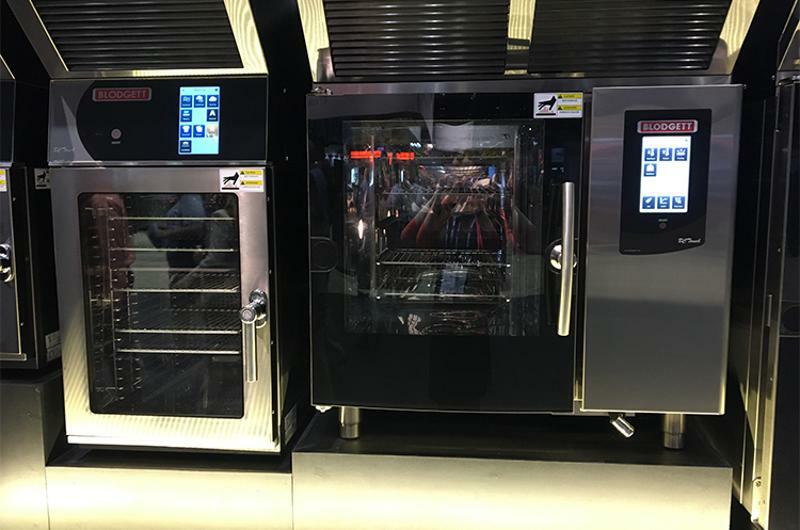 Stainless steel is still an option, but most manufacturers are offering equipment in colors such as black and red as well. It’s not a new trend: Operators concerned with allergies and cross contamination have been using color-coded tools for some time. 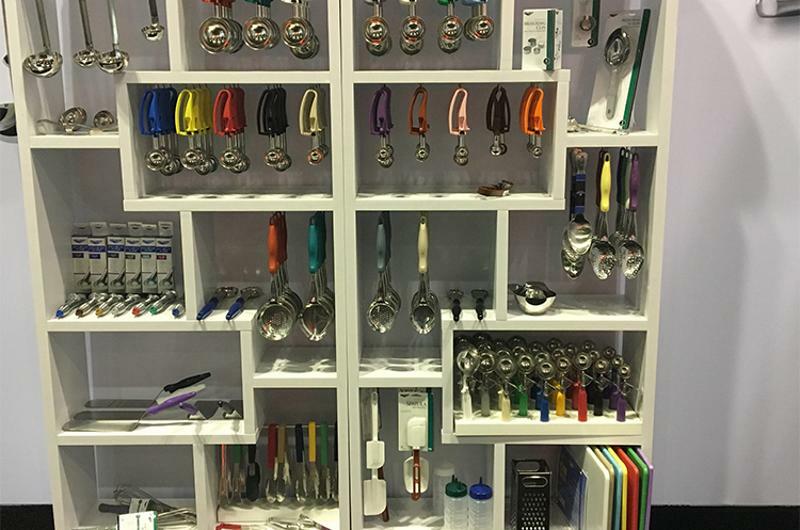 But now, more suppliers are expanding their lines of colored offerings beyond cutting boards and knife handles to include an array of different scoops, spoons, ladles, tongs, squeeze bottles and more. 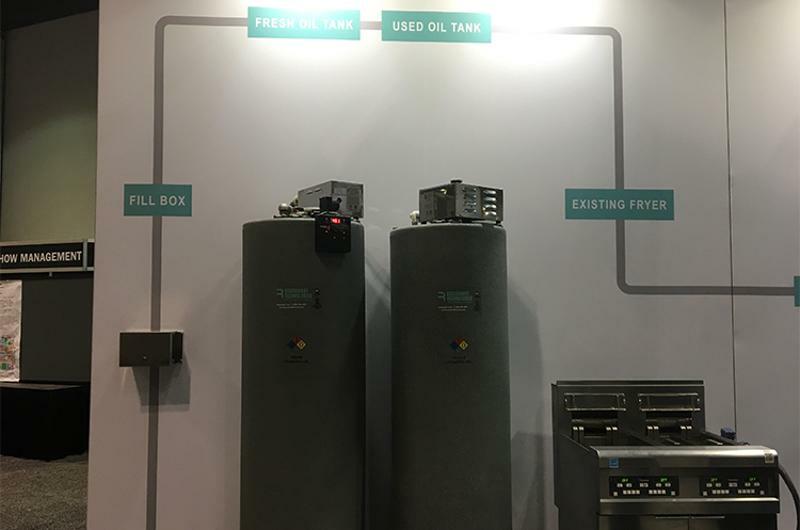 From water wells that clean scoops and spoons to frying oil management systems, new smart equipment uses technology to track how much water, oil, etc. is used and discarded in order to help operators relay an environment-friendly story to customers. 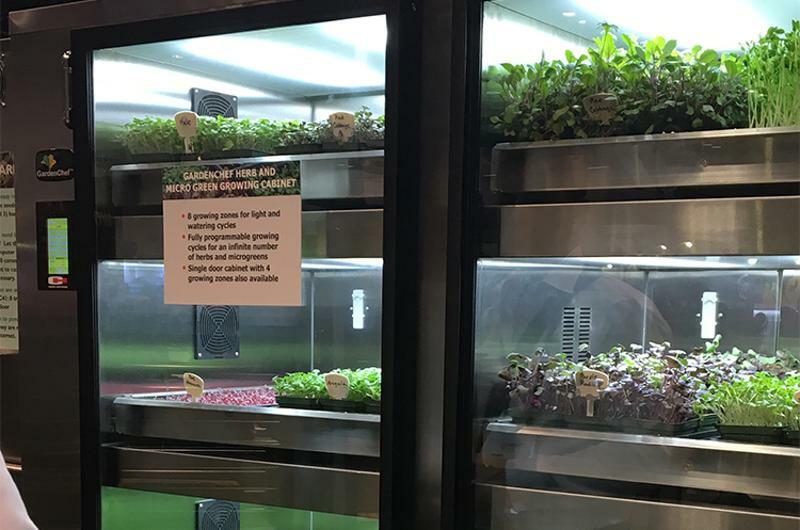 As another play to sell sustainability, as well as a front-of-house talking point, one supplier rolled out a refrigerator-looking unit that allows operators to grow their own herbs, lettuces and microgreens in-house. Each compartment (the unit is four compartments tall) can be separately programmed via a touchscreen to supply the correct amount of light, water and temperature for each shelf, creating different zones to grow a variety of greens.